Right now you can get some tasty vine ripe tomatoes at the grocery store, at the farmers market and in your garden. As a kid I did not like tomatoes, but as I have grown older I love them. Most of my kids enjoy them as well. Tomatoes are a simple side and go perfectly with may of the real easy recipes listed here on my site. 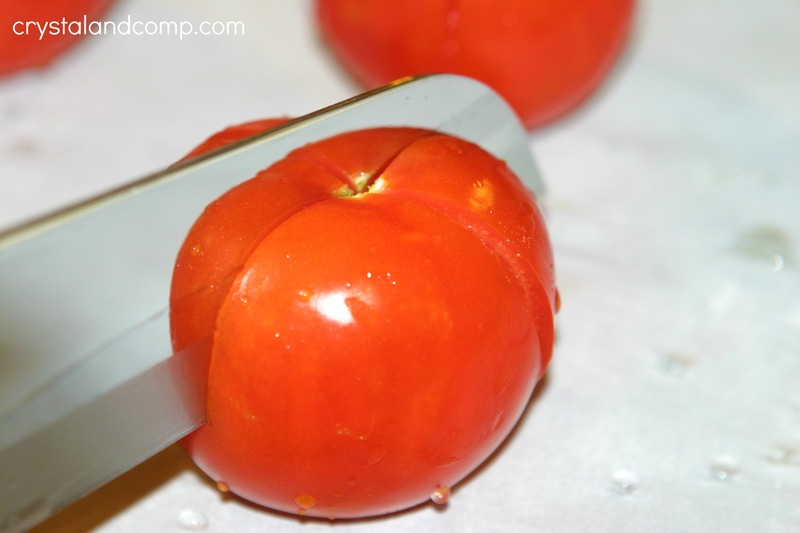 I am going to show you how to take ripe tomatoes and turn them into something amazing with little effort. Take your tomatoes and slice an X in the top only going about 1/4 of the way down into the tomato. 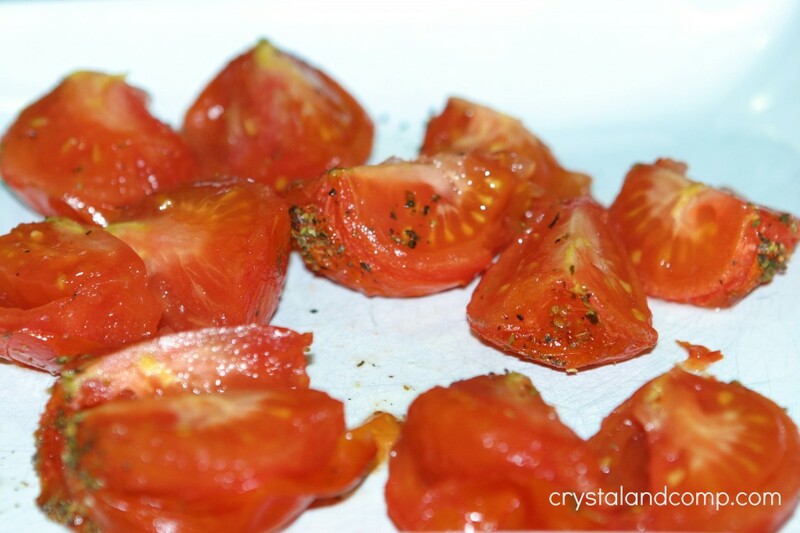 Place the tomatoes on a lined cookie sheet. 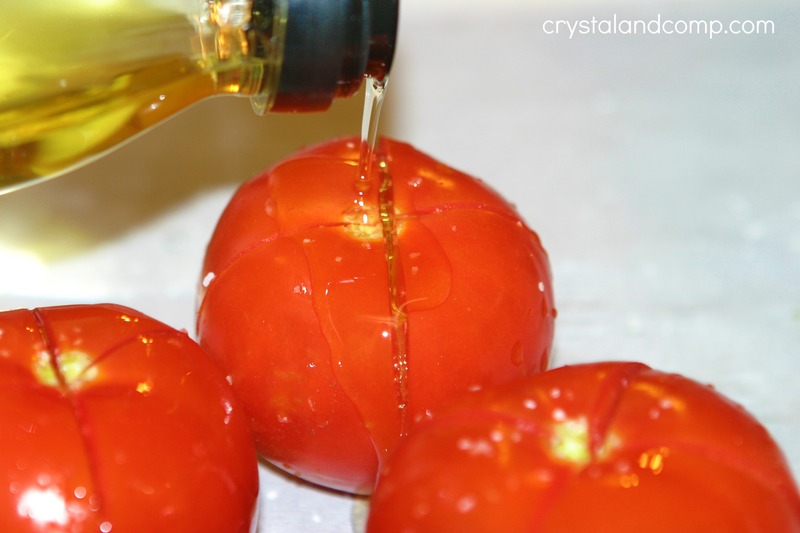 Generously drizzle the tops of the tomatoes with olive oil. 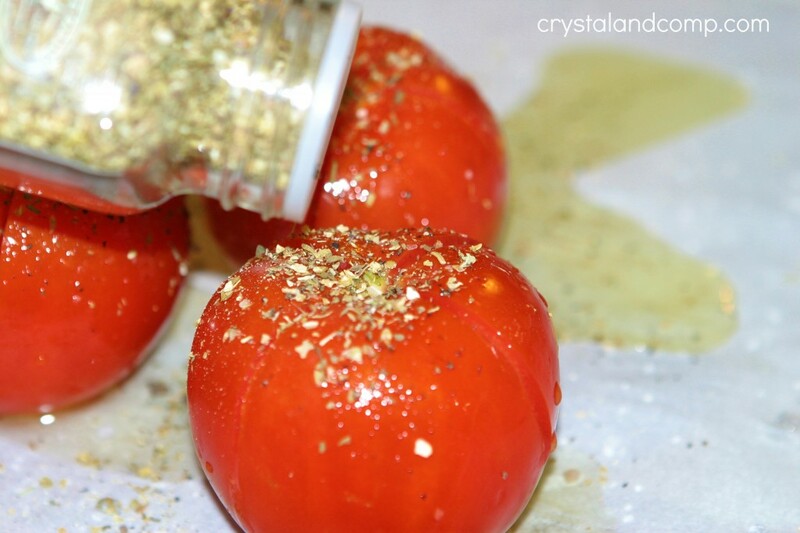 Sprinkle the tops of the tomatoes with Italian Seasoning. 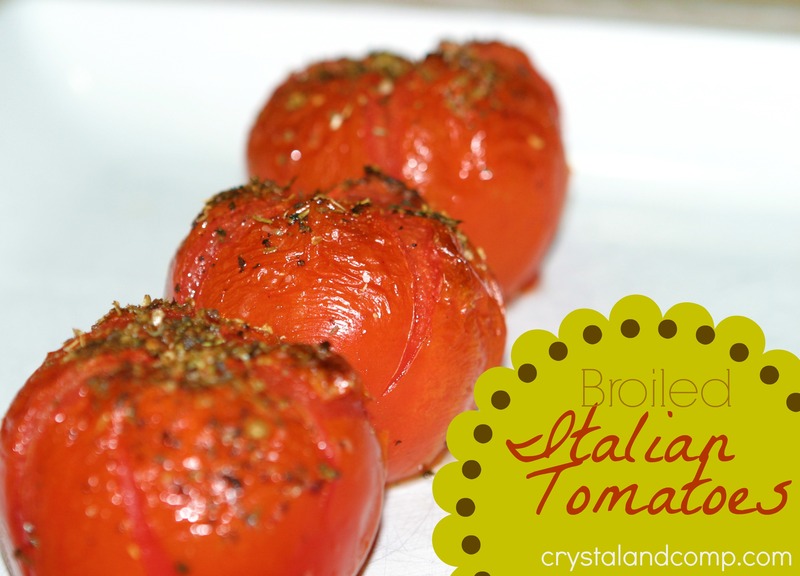 Pop the tomatoes in the oven on broil. Keep the oven door open just a bit. Broil for about 5 minutes. Keep a close eye on them. Remove them from the oven once they are the desired amount of broiled. 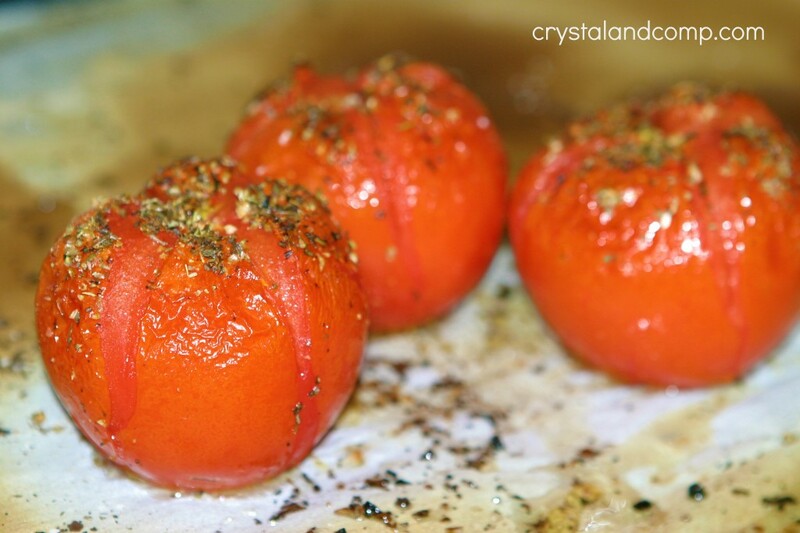 Quarter the tomatoes and sprinkle with fresh cracked pepper and salt. These go perfectly with so many dinner ideas, especially pasta! Thank you Katherine. They are such an easy and delicious side!